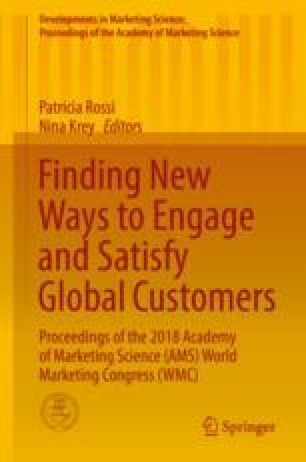 Our study focuses on a specific strategy for firms and consumers to do good, known as cause marketing (CM). CM consists of “marketing activities that are characterized by an offer from the firm to contribute a specified amount to a designated philanthropic cause” (Varadarajan and Menon 1988, p. 60). CM seems a promising marketing strategy (Nielsen 2015). But is it effective irrespective of firm size? And what roles do perceived sincerity and feelings of gratitude play? The current research addresses both issues. we further argue that the perceived sincerity of a firm’s motives to engage in CM is particularly relevant for CM effectiveness as consumers who are skeptical about the company’s underlying motives to engage in the charitable behavior will not experience feelings of gratitude and so will not feel motivated to reciprocate the company for its efforts (McCullough et al. 2001; Morales 2005). Our reasoning implies that, if we are right that smaller firms engaging in CM are perceived as doing a bigger effort than larger firms and hence are perceived as more sincere, consumers will experience stronger feelings of gratitude toward small firms engaging in CM and hence are more likely to reciprocate by purchasing the CM-promoted product, translating into greater CM effectiveness for small compared to larger firms. Two studies, a field study and a lab study, confirmed our hypotheses. Compared to big firms, small firms engaging in CM are perceived as doing a bigger effort and hence score higher on perceived sincerity. As a result of these sincerity perceptions, consumers experience stronger feelings of gratitude toward small firms engaging in CM, translating into greater purchase intentions of CM-promoted products of small compared to big firms. The authors acknowledge financial support from the Spanish Ministry of Economics, Grant number ECO2017-87369-P.